is a large and bright planetary nebula, discovered by Charles Messier in 1764. 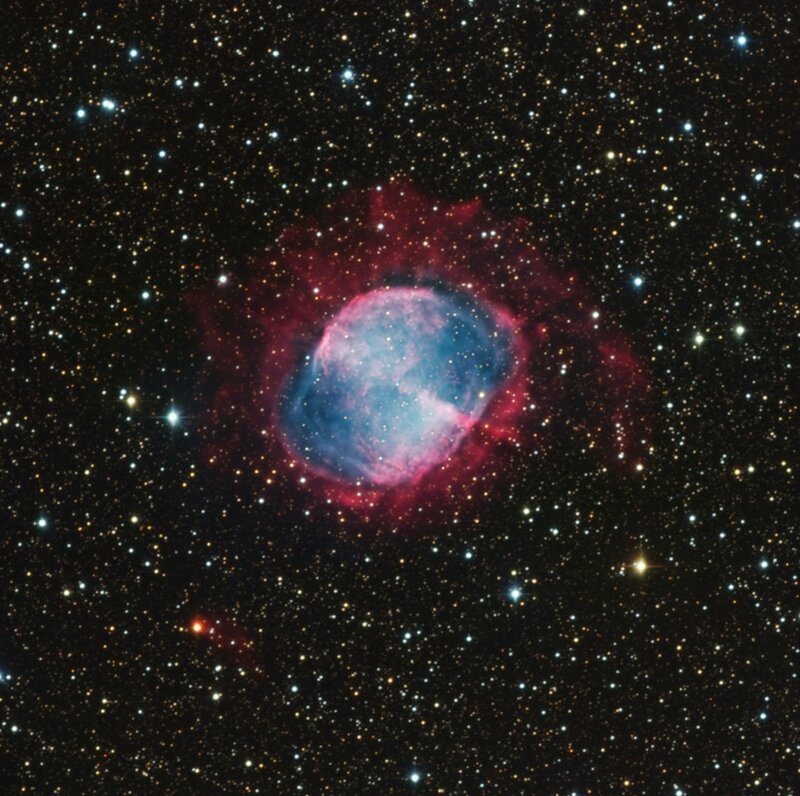 Like other planetaries, M27 was formed when the hot central star which illuminates it expelled an expanding shell of oxygen and hydrogen gas once it had used up its nuclear fuel. At a distance of 1,360 light years from Earth, the Dumbbell's name derived from English astronomer John Herschel's 1833 description as a “Nebula shaped like a dumb-bell, with the elliptic outline completed by a feeble nebulous light”. Thanks to Russ Carroll's Dan Zowada Memorial Observatory for this fine data.